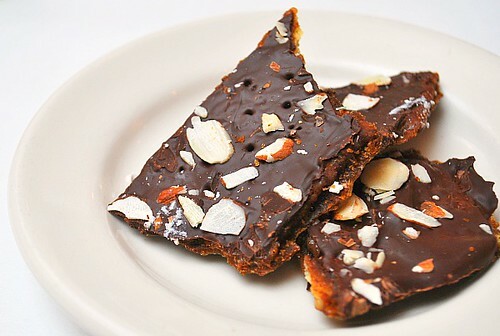 For a holiday party I'm attending this weekend, I made these easy mock toffee candy to share. Allow it to rest for 2 minutes - enough for chocolate chips to melt. My husband LOVES this! I may need to make some today! This sounds delicious and way easier than regular toffee. These were SO good! I'm fighting off my husband for the last pieces! I love toffee! I am sure the addition of the salty crackers makes it even more delicious!